Sitting neatly on Marylebone's Chiltern Street Trunk Clothiers has provided one of the finer selections of menswear in the West End since it's inception in September 2010. Brands like Common Projects, Engineered Garments, Junya Watanabe, Our Legacy and Porter fill the stores shelves and sit alongside Trunk's own brand creations, most recently a fine assortment of woven belts made in Italy by family business Anderson's. 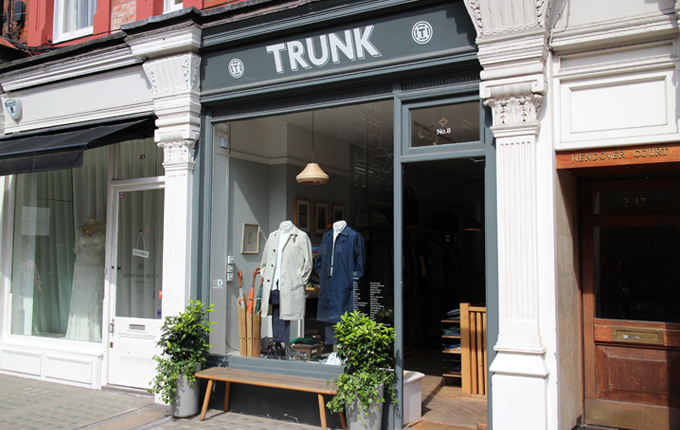 Trunk have also collaborated with a variety of brands including Yoshida Porter, Caruso and London Undercover.